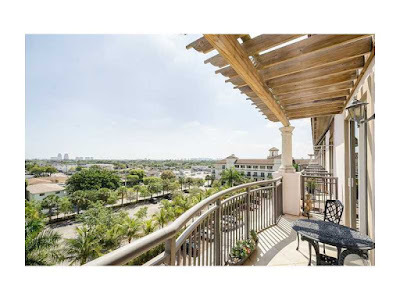 This stunning penthouse in the exclusive Wilton Station community is nestled in Wilton Manors. The sprawling three bedroom three bathroom penthouse is laid out on over one thousand nine hundred square feet of perfectly appointed living space.This unit boasts soaring ceilings of eleven feet high! The flooring throughout is porcelain tile laid diagonally for an even larger feel. This unit comes with two parking spaces and two storage units. this is located on the quiet side of Wilton Station. The chef’s kitchen is equipped with sleek granite counter tops, custom modern wooden cabinetry and a full suite of stainless steel appliances. The kitchen is open facing the living room.The master bath features a Jacuzzi tub and separate glass enclosed shower. The balcony is the perfect spot to enjoy your morning coffee. 2601 NE 14 Avenue unit 501 is located in Wilton Manors and is currently asking $615,000.00. This Wilton Station listing is courtesy of Hahne Realty MLS#: A2174550. Residents of Wilton Station enjoy community amenities such as twenty four hour security, sparkling waterfall pool,and state of the art fitness center. Residents of Wilton Station also have the luxury of walking to fine dining, shopping, and entertainment at nearby Shoppes of Wilton Manors.